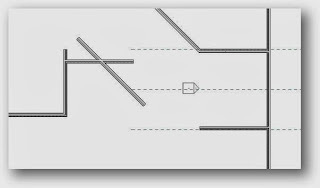 In figure 1 below some angled corridor walls need to be cleaned up where they intersect. Also two walls need to be filleted. 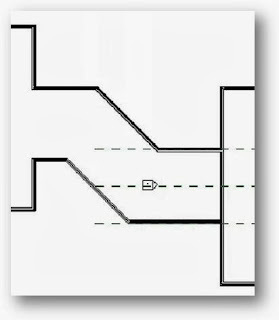 The objective is to quickly clean up the wall junctions with the Trim Extend to Corner command (fig 2). The Trim Extend to Corner tool will enable us to clean-up the four overlapping walls and to extend and fillet the two walls that do not meet. Click the Modify Tab on the Ribbon and select the Trim/Extend tool or type the keyboard shortcut TR. Note that if you hover over this tool prior to selection the roll-over tool-tip will tell you its exact function (see fig 2 above). The trick is to select the parts walls that you want to keep. Two other tools from the modify tab worth experimenting with when trimming and extending walls are the Trim/Extend Single Element and the Trim Extend Multiple Element tools. Hover over each of the tool icons in turn to view the animated tooltips showing worked examples of how to use these tools.